Artificial Intelligence is jumping into the lives of everyone much faster than one can comprehend, analyze and understand. The next generation of intelligence is slowly a part of us and more so in business and here's why it's important in business today. Read ON! You studied the Industrial Revolution in your school history classes. If you think back, you'll realize that the technology available during this span of time completely re-framed the way products were created and, in turn, the way people worked and lived. It's hard to imagine a world before industrialization. But the truth is that there was little change in the mechanics of the economy, movement of classes, or technological advancements prior to this time. After the industrial revolution began, though, technology boomed at a rapid pace. Artificial Intelligence is, in fact, our next great technological revolution. It's inherently changing the way information is gathered, stored, and used. And like any revolution, it antiquates the processes that came before it. AI has already taken over many aspects of people's personal lives. We use artificial intelligence, such as Siri or Cortana, to complete simple commands and simplify the tasks we need to get done. The previous generation attempted to do this by multi-tasking, which was another great buzzword of business. Everyone wanted to be able to multi-task. But what we learned was that trying to do multiple things at once meant that there was a greater chance of error and far less concentration. 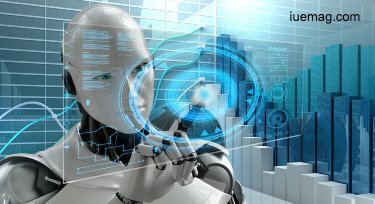 Enter artificial intelligence - multi-tasking is possible and profitable, because the menial tasks can be done through automation freeing up the employee to concentrate on the more intricate portions of the job at hand. The reality today is that AI is taking over large parts of the business processes previously done manually. With each new addition to the AI toolbox, companies that don't utilize all of the advances available will fall behind in productivity and efficiency. This paradigm holds true across industries. You don't need to work in technology to use artificial intelligence to your benefit. If your company does work in technology, it's likely that you're working on some applications that improve on AI. Machine learning companies build packages and software solutions that align specifically with your industry and goals. For the company outside of the technology industry, this means that the software solution for your AI handles all of the data science and implementation, allowing the company to concentrate on the field that they specialize in. 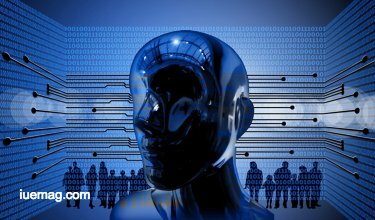 Business Driven Artificial Intelligence Learning. This facet allows your shareholders and management to continually learn from the data science, making more impactful business decisions and projections for the future. Predictive Maintenance. With AI, your team can better manage maintenance issues through reporting and predictive analysis that allows you to fix and maintain equipment proactively, rather than having mechanical issues that sideline business without warning. Marketing and Customer Service. AI offers a wealth of features to make personalized marketing pushes and better customer service offerings in a scalable way. Fraud Prevention. AI offers predictive analysis that allows you to pinpoint possible fraudulent activities, proactively assisting in preventing future cases of fraud. Positive Impact for Revenue Cycle Management. Your package can include revenue cycle management applications to allow better oversight and reporting, to pinpoint where weak points in your cycle reside to better improve the overall process. As more companies develop new advances in AI, it's important to bring your company up to speed in taking advantage of newer technologies. These applications serve to automate processes that once took many man-hours. Companies that don't evolve will often find it difficult to keep up with competition in productivity and efficiency.